The NFL season just concluded, but is it too early to look at the 2019-2020 season? Absolutely not. Teams are already locking in on free agents and potential trades, and before you know it, NFL training camps will be taking place. So, here are five way-too-early bold NFL predictions for the 2019 season. We all know that the Cleveland Browns organization has been a black hole for years now, but with quarterback Baker Mayfield under center and a legit defense in place, this team is ready to make the playoffs next year. They obviously have some holes to fill, but as crazy as it sounds, they are headed in the right direction. Not only will they make the playoffs, but they'll win a playoff game. This is not usually the route the Green Bay Packers go, but they need to show more urgency in terms of improving the roster and giving quarterback Aaron Rodgers more weapons. Signing ​Le'Veon Bell would fit the bill. ​Even though the division is deeper, this is the kind of move that would elevate the Packers offense and give them a great chance to win the division. Yes, the Chicago Bears are an up-and-coming team, but does everyone buy in to them dominating the division for the foreseeable future? Not me. 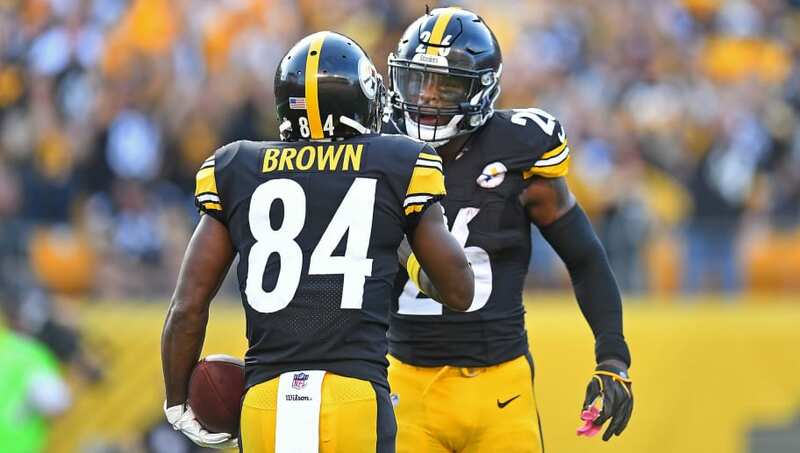 There's almost no scenario I can see that the Pittsburgh Steelers are going into next season with wide receiver ​Antonio Brown on their roster. There's a lot of baggage with Brown, both on and off the field, and Pittsburgh is already entertaining trade offers for the stud wideout. The San Francisco 49ers have been mentioned as a possibility, but wouldn't it be such an Oakland Raiders move if they were the ones that acquired him? They have the draft picks to work out a deal, and it's not like they don't need receivers. This has to happen. Indianapolis Colts quarterback Andrew Luck proved his shoulder was healthy and he ended up winning the NFL's ​Comeback Player of the Year award. It was well-deserved and he was a sneaky MVP candidate last year. That's why he's going to leave no doubt and do it in 2019. The Kansas City Chiefs and even the Indianapolis Colts are going to be two of the favorites in the AFC next year, but until it doesn't happen and Tom Brady and Bill Belichick are gone, the New England Patriots are the real favorites once again. The defending Super Bowl champs found a way to get it done this year, even though they didn't look like a championship team until the very end of the year. Instead of doubting them and waiting for them to fall, we'd be crazy not to think they won't win another Super Bowl next year.